This article came about as a result of public invitation by Gorgon Magazine: to make a contribution towards a monograph celebrating the 30th Anniversary of Diamanda Galás’s published works, “The Litanies of Satan” and “Wild Women With Steak Knives”. 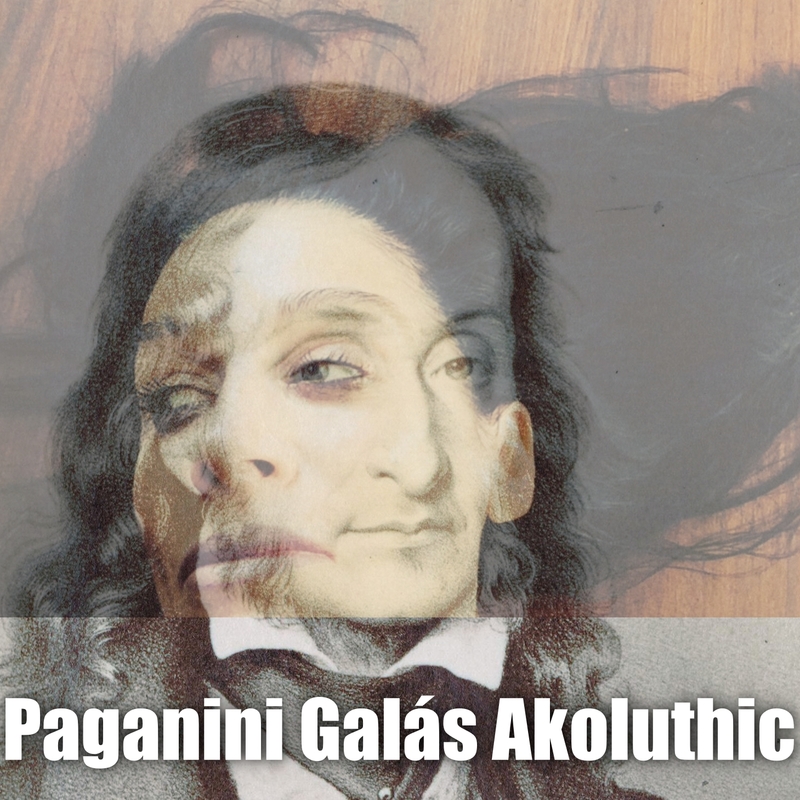 My immediate idea was to draw on the distinct parallel between Galás and the violinist Nicolo Paganini. To my mind contemporaneous accounts of their work, (given below in italics) reveal a startling exactness existing between the two artists. The work of Paganini & Galás share a similar experience and is the same thing in that respect. For this reason, no significant or detailed appraisal of the many individual examples of quotes is given in the article. It is the language used in the quotes that is best compared as originally given. The use of extraordinary adjectives and metaphor is common in most writing about Paganini – his life, times and music. Chronological study of samples of text from biographies, reviews and articles; coupled with familiarity with audio and visual recordings, augmented by practical knowledge of the published scores; reveals steadfastly and overall that both Paganini and Galás share a record of the most extraordinary nature and correspondence. Paganini’s first work to reach print was the 24 Capricci for solo violin. Published when he was 38 years old, it is not known when he composed them, though thought to be from his early 20s. Through this publication, Paganini’s infamous set of fantasies reached a European-wide audience, for to many he was already being described in the most remarkable manner. First editions of this work today are valued at the price of works of art. Within a decade of the published Caprices, credible and serious attempts were being made to annotate and explain what this violinist was doing. Carl Guhr’s “Paganini’s Art of Violin Playing” published in 1829, opens with a jolt, words describing the unexpected, deviance and the wonders of Orpheus. “Schwerlich würde ich je daran gedacht haben, die Zahl der Violinschule zu vermehren, wenn nicht Paganini nach Deutschland gekommen wäre und durch sein ausserordentliches, von allem bischer Gehörten ganz abweichendes Spiel die Wunder des Orpheus erneurt hätte. “You anticipate the rupture of all its strings! On the contrary, the lightest, the finest, the most delicate of sounds comes forth to win your surprise. He continues for some moments to sport with your pre-conceptions, to look askance at you; to irritate you; and every whim that occurs to him, is employed to draw you out from your supposed indifference… in his way; extracts unknown sounds; searches, with easy success, for difficulties and tricks of skill; exhausts, within the space of a few bars, the whole range of chords and sounds possible upon the instrument – discourses, sings, bewails, ejaculates, describes! ‘Tis suddenly a murmur of waves, a whistling in the air, a warbling of birds; a something undefinably musical, in the most acute as well as the lowest tones – an unrestricted impulse of caprices, and contrasts, without guide or measure! ‘Tis, in a word, a perfect union of incoherence and nameless clatter, beyond which, the world-worn and vitiated beings around, the worshippers of singularity, can see nothing, imagine nothing, desire nothing! “Who, that boasts of an ear, has not heard Paganini himself? “The position occupied by Paganini as a violinist and composer for his instrument should be defined clearly enough by contemporary opinions – and no amount of fresh research can increase our knowledge in this respect. No one has the right to say that this or that technical effect is artistic or inartistic; but [some] will look on them as ‘tricks’, just as some of Paganini’s contemporaries did… It was extending the range of his instrument, in demonstrating what surprising results could be obtained by a combination of natural talent and hard work – in short, in showing new paths for the development of instrumental virtuosity, that Paganini’s greatest merit lay… No one has ever produced the emotional effects attributed to Paganini by writers whose word we are compelled to accept. He will be imitated only when a personality like his appears, endowed with his physical, mental and spiritual attributes. “Paganini was unique, and even today, a century after his bright flame was extinguished, its light still flickers the whole violin world over. His playing had the effect of a love potion, making even the proudest beauty his prey. The newspapers had been printing stories about this wonder violinist for several years. Was this really the music of a violin? Had anyone ever really heard a violin played before this moment? “Paganini’s mode of expression – a force which directs a man’s whole nature. Like a thunderstorm, it was both visible and audible. As the studies of Paganini continued, in 1975, Diamanda Galás begun developing a limitless musical vocal technique, presenting it in her own particular way. As Paganini was supposed to have done. “Paganini, destined by the innate force of genius to push himself to the very limits of self-discipline in the most difficult of arts… threw aside the pedantic bonds of convention and completely liberated his art from the stifling traditions of the past. Meet the Paganini of the Concert Hall – the Romantic Virtuoso – the Legendary Figure – the gaunt mysterious wanderer of our musical history books. With the advent of Paganini, the entire concept of violin playing took another path and reached a technical climax. Galás’s career was launched and a steadily increasing volume of Paganini-type descriptions rapidly accumulated. Replace the name and gender in the following two quotes and they read typical of writing about Galás over the past four decades. From the accompanying notes printed on the sleeve of the first edition of Galás’s “Litanies of Satan”, there is immediate and obvious correlation with Paganini that is beyond subject matter rooted in the Romantic or execution being highly virtuosic. 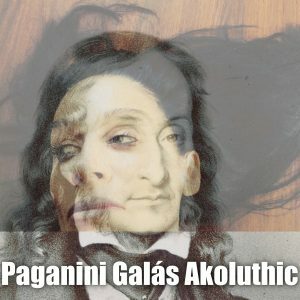 Galás is for voice what Paganini was to violin, by effect. Diamanda Galás is, without question, an extraordinary artist. There is a purity of intent and execution in her creations which lends them an intensity which leaves the listener breathless, rapturous, and perhaps entirely intimidated. These are the works made by an artist who risks, perhaps even invites, horror and repugnance in the process of making her mark on our hearts. “You might call Galás a singer, but that’d be a paltry account of it. She’s the one they call the Beacon of Bleak, the Dark Diva of Doom ‘n’ Disease, all that triviualizing stuff. The sneeringly stately, black-haired, wild-eyed, the ferocious vocal range and the blood-freezing stage presence… The monstrously mighty vocal virtuoso… To have any performer deal articulately with topical monstrosities is rare; to have such a badass musician saying it is a gift from God. Galás reigns as the queen of extended vocal technique, a voice that has only gained in power and versatility over the years. “There’s always been an air of mystery surrounding the world’s most famous violin virtuoso. His legendary skills, which revolutionised technique, his plethora of fantastically difficult compositions, which continue to tangle the fingers of our finest players… I don’t think this explains why so many myths have been perpetuated about him, including that infamous pact with the devil. And in 2017 the song remains the same. These two musicians, whose startling disturbances to the musical world share a body of work, although different in many respects nevertheless manage to generate an almost identical effect in the reaction of those who have tried then to write about either one of them.